Number 68 Church Street, Great Burstead, was originally built as a typical two-story 1930s detached house. At some time a ground floor extension was added to the front and one side of the so that it could be used as a village store with living in accommodation. With lower car ownership and no local supermarkets at the time the store initially provided a useful local service. But the gradual introduction of these facilities caused in a decline in trade resulting in the store ceasing trading in the late 1990s. These pictures are of its final years as a shop. 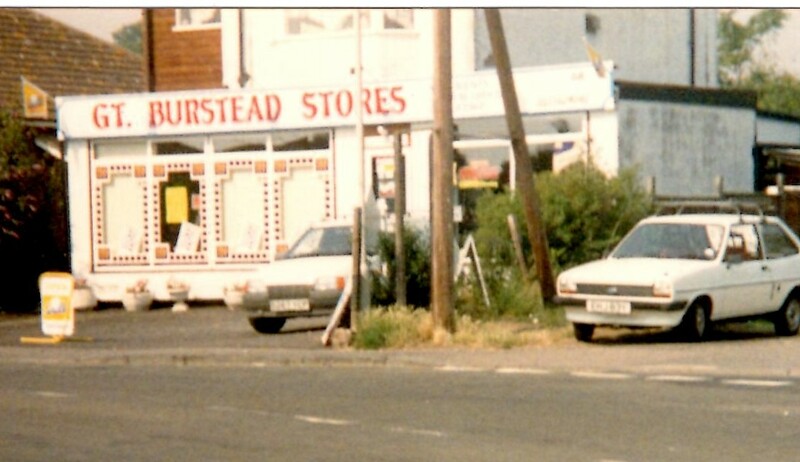 In the photo below, taken in August 1990, it is trading as ‘Gt Burstead Stores’. 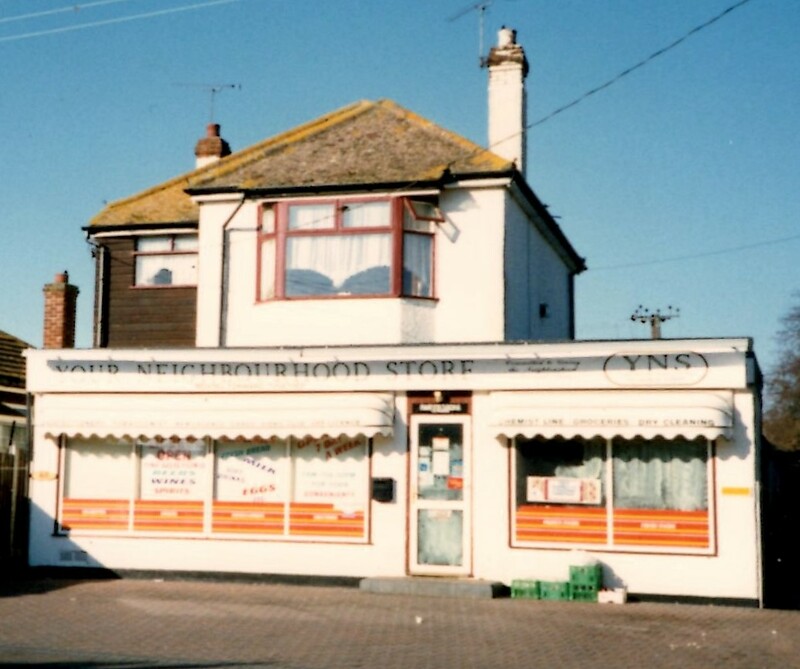 Below a shadow makes its new trade name of: ‘Your Neighbourhood Store’ difficult to read in this second picture taken in 1996. 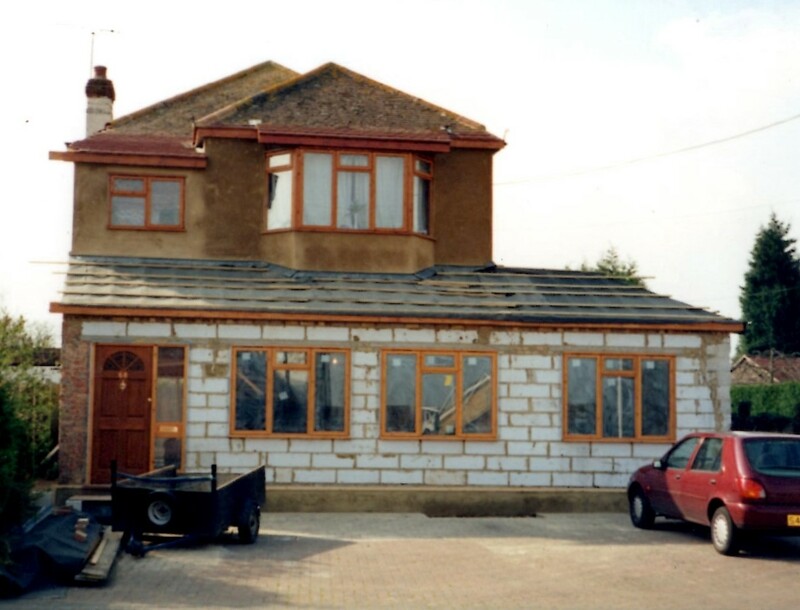 Finally the ground floor extension is being converted to become additional living accommodation for the house in June 2000. I remember when Steve & Iris owned it, Iris also ran a Taxi service. Yes this was Fennel stores because we lived just a few yards up Kennel Lane in the 1950s. My mum would buy odd items that we needed from there and I can remember buying her a box of chocolates from there with my first pay packet in 1954. Thanks for this article. Would this be the store owned by Mr. Jim Fennel ? This would have been in the fifties. It looks similar to the shop I remember . As one walked from Mill Road up to Great Burstead church it was on the right hand side tucked into a corner. My memories are a bit vague but not of Mr Fennel who was a lovely man and very kind. Happy memories.